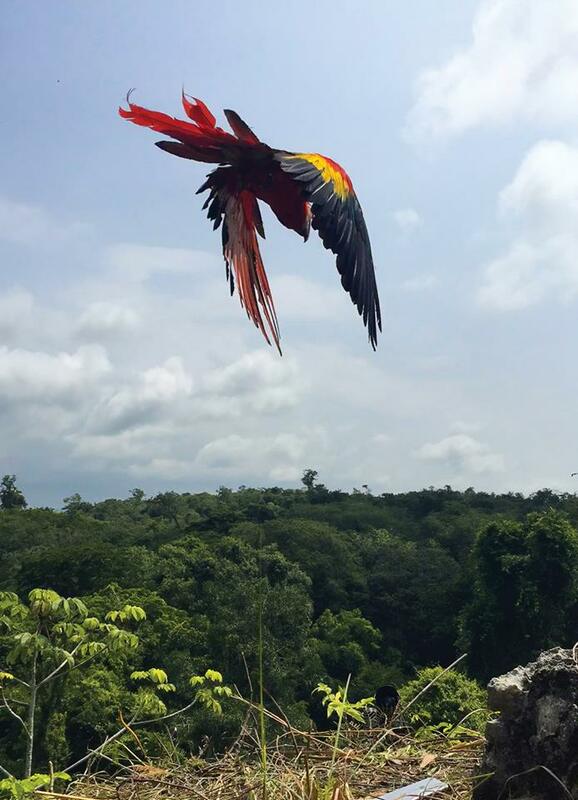 The first release of Scarlet Macaws in Guatemala was realized by non-governmental organization ARCAS in the Sierra del Lacandon National Park, Peten. 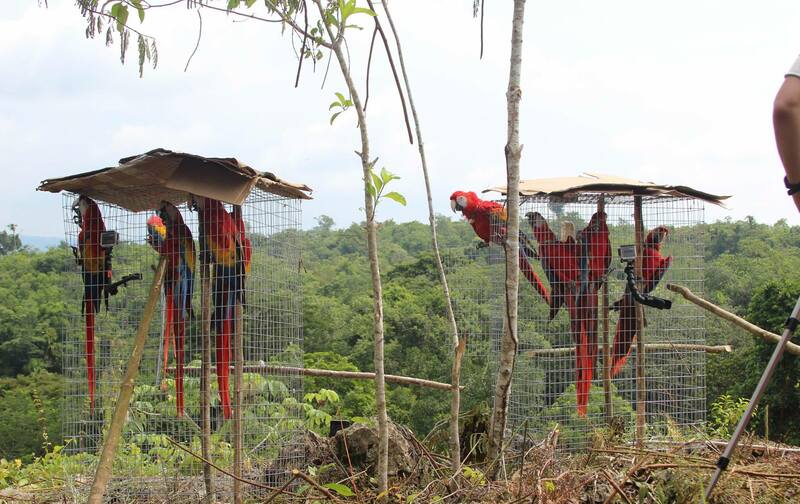 Similarly, conservationists have released also the same species in Mexico, Costa Rica and Peru before. 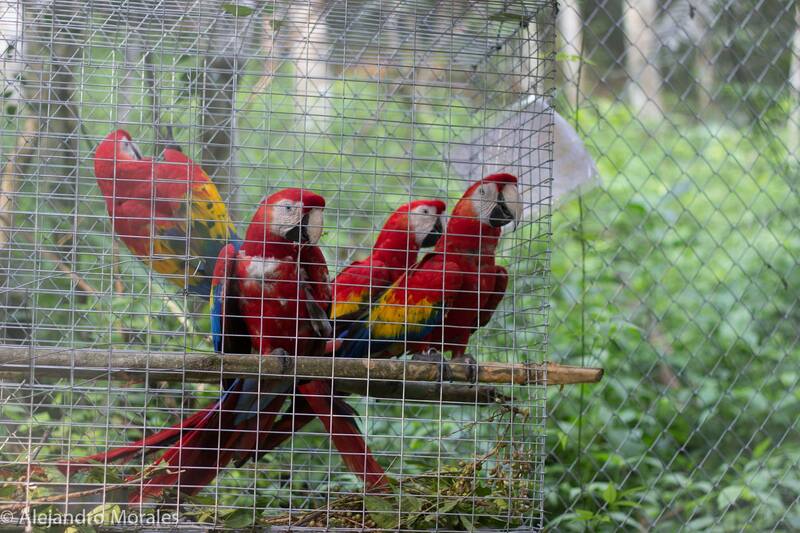 Scarlet macaws are threatened with extinction due to the illegal wildlife trade and deforestation. There are only about 300-400 individuals left in Mexico, Belize and Guatemala. ARCAS decided to release nine birds for the first time at location which is very hard to access. 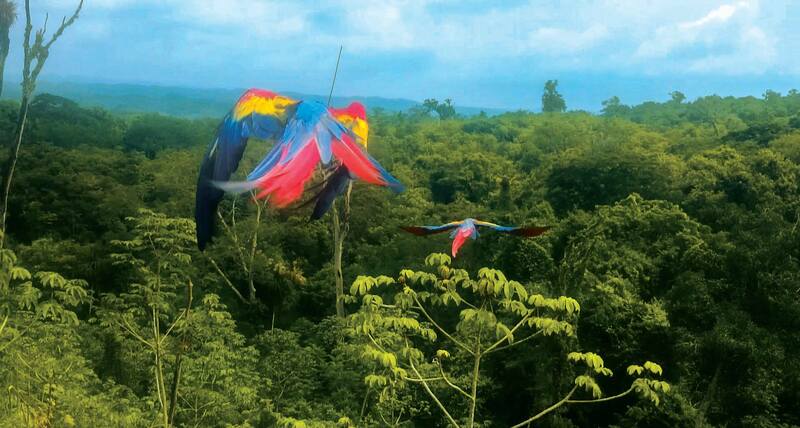 At that place, Scarlet macaws are found naturally but their local population is in decline. Five of all nine birds have radio transmitters which enable their monitoring. Project ARCAS was estabilished already in 1994 and ten years later in April 2004, the first chick was bred. All birds have been parent raised and their contact with people was always minimal. 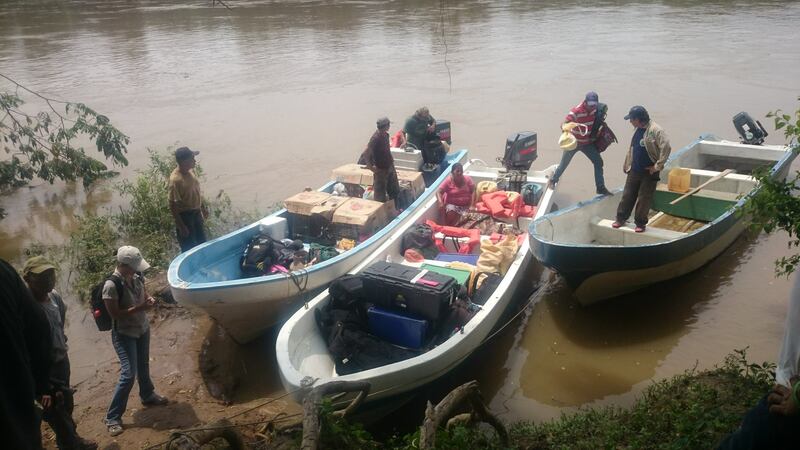 „On Tuesday September 29, 2015 we began our journey to the Sierra del Lacandon trip, arriving by 4X4s at the community of Bethel, and there by boat on the Rio Usumacinta to the checkpoint of El Porvenir,“ described representatives of ARCAS on their official facebook page. 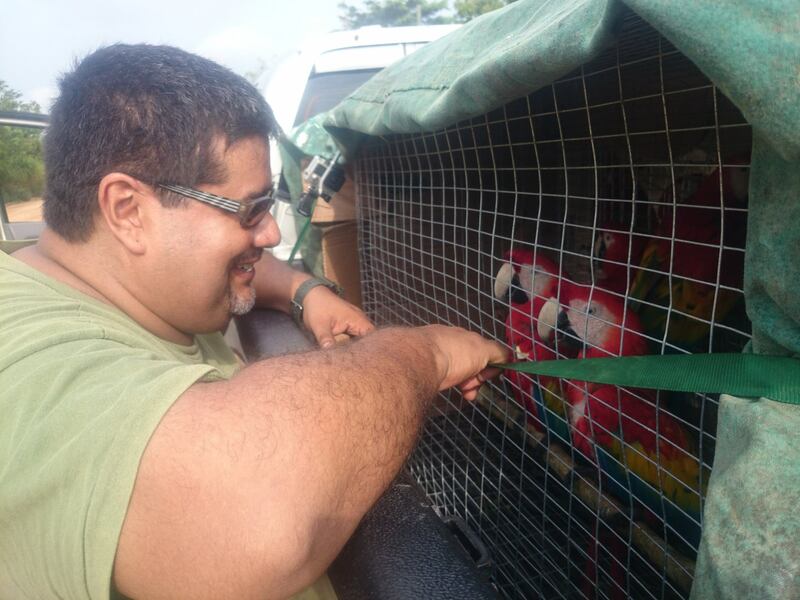 „On 1 October 2015 nine scarlet macaws were released, five bearing satellite collars. They flew out of the release cages without a problem and flew into the nearby woods. The results of this release will contribute to improving the ARCAS breeding and population reinforcement program,“ said ARCAS. Before the release, technicians from ARCAS had to find suitable locations with enough food, water and with little human presence. 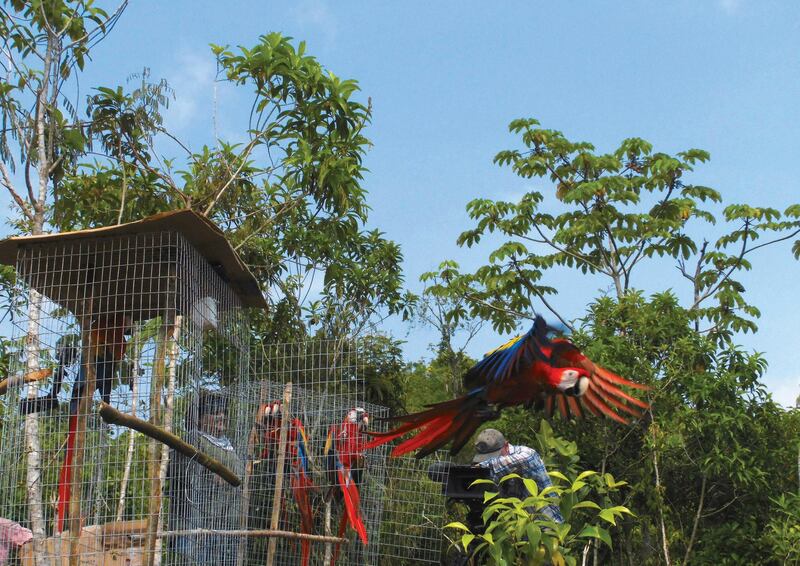 The whole project was supported by volunteers, Defensores de la Naturaleza, ‪#‎CONAP, Natural World – BBC, the Columbus and Cincinnati zoos, Jakob Frost, and the Humane Society International.